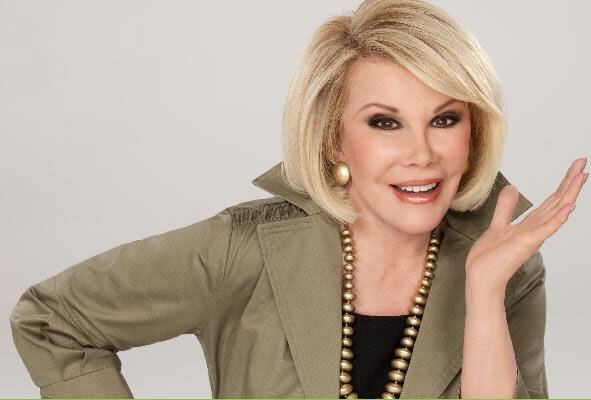 The news of Joan Rivers’ passing was heartbreaking. Her death was tragic; her friends and family must be in shock at the loss. We’ll probably never know all the details, nor do we need to know. What we have learned from this tragedy, however, is that palliative care is implicitly end-of-life care. Furthermore, this was palliative care at Mt. Sinai — home of the Center to Advance Palliative Care (CAPC). We were told that “Doctors kept the comedian sedated and put her on life support. On Sept. 3, she was moved from ICU” and “moved to a private room in palliative care, so that her friends and family could visit her in peace.” She died the next day. This entry was posted in Center to Advance Palliative Care (CAPC), Palliative care / palliative medicine and tagged CAPC, palliative care by Ione Whitlock. Bookmark the permalink.